The fact that the cost of fuel is rapidly increasing means that drivers now have to be very careful to avoid spending too much money on fuel. Most people think that to reduce fuel consumption, you only need to buy a new car that has better economy ratings. While this may help, you will find that simply changing your driving habits is likely to have a greater impact than buying a new car in most cases. This means that if you are interested in keeping the cost of running your car down, you should think about how to change your driving habits to suit this rather than to get a new car, which may be unnecessarily expensive. One of the habits you will need to get rid of is aggressive driving. Normally when you accelerate and brake too rapidly, most of the energy developed by the engine gets converted into heat, and is therefore wasted. This means that if you are to reduce how much fuel your car uses up, you will need to learn how to be smooth on the accelerator and brake. This is a habit that may take some time to master if you are used to aggressive driving, but it’s always worth it since it saves you a lot of fuel. On the same vein, it is also very important that you learn how to drive at a more or less constant speed on the highway, rather than having to keep changing speeds too much. You are more likely to save fuel if you drive at a steady 55 mph rather than having to change from 45 to 70 mph through constant braking and accelerating. In such cases, your cruise control will come in handy, since it maintains a certain speed automatically. Another tip that you are likely to find very handy is making sure that your tires are always well inflated. This is something that many drivers ignore, but which can end up costing you as much as 10% increase in fuel consumption. This means that by simply checking your car’s tire pressure regularly, you are likely to end up saving a lot of money as fuel in the long term. This is an issue that you should therefore not overlook at all. You should also keep an eye on the use of electronics in your car when driving, especially when you have an older car. A prime example of this is the use of an air conditioner, which can sap as much as 10% of the engine’s power. Remember, all the power that comes from the engine is derived from the fuel. This means that when anything else draws power from it, it would essentially be consuming fuel. By reducing your dependence on electronics such as your air conditioner, you can easily reduce the amount of fuel that the car consumes. 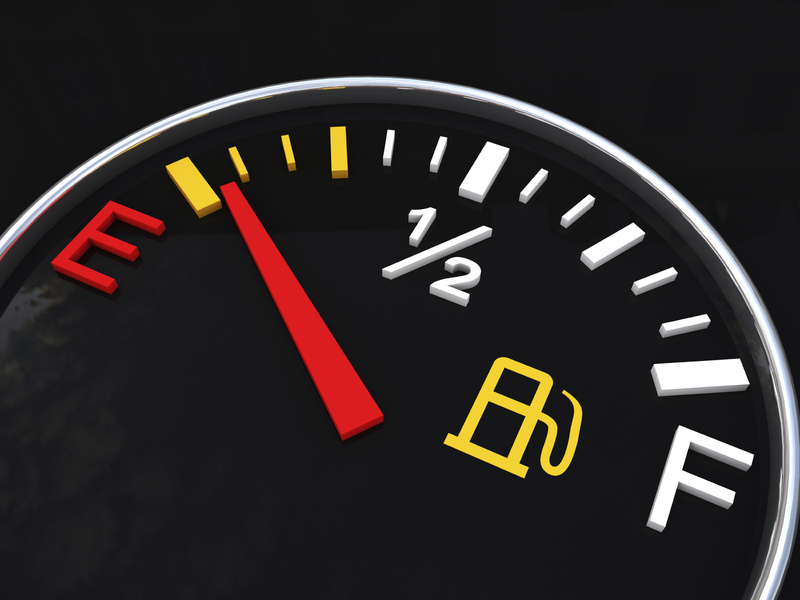 These are just a few things you can do to keep your fuel consumption low. To get more comprehensive information about the issue, you can always go to My Driving School Edinburgh who have an emphasis on fuel saving measures. Hi, so you survived the winter snow and ice, but did your car? Here are just a few helpful things for you to check on your car whilst it’s still cold outside and the spring is bringing in another change of temperature and new road conditions for you to deal with!! * Antifreeze for your radiator, make sure it’s still 50/50, just in case you do get any Jack Frost days and your radiator decides to take the opportunity to bail on you and freeze. If you have cheated a little and topped it up with water, might be worth checking it and giving it a flush and refill. * Windscreen Wash with antifreeze, (not be mistaken for radiator antifreeze), it is more helpful if it protects up to -35 and is topped up in the reservoir for the screen wash. Whilst you are out there looking clever under the hood, why not really impress by checking the jet’s direction and that there are no blockages, simply pull the wiper stalk on your dash and see where the fluid directs to, if blocked, they can usually be simply unblocked with a pin and the ball head moved to fire in the right direction!! * Windscreen Wipers, one of the most obvious names for something so beneficial!! Always worth checking that your wipers aren’t frayed or perished, as soon as they are damaged it is best to replace them, you never know when you going to have a lovely surprise sunny day and be caught out by a dirty windscreen crossed with the suns glare, often a bump waiting to happen. * Tyres, although another obvious one, once you’re in and driving away you often dismiss the tyre as ok, because your moving ok, but its definitely worth taking 5 minutes to check the pressure when you’re in filling up with fuel, as tyre pressure drops in cold weather and can swell in hot and a couple of mixed days can leave your tyres tired and confused, 5 mins to check could save your life. While you’re there check the tread too, 1.6 mm is the legal limit, whilst manufacturers very sensibly recommend 3 mm, don’t imagine the grip in snow imagine stopping distances on the road with very little tread. The difference between the legal limit and manufacturer’s advice is ONE FULL CAR LENGTH AT LEAST. * Lights, although the nights may soon be getting lighter, the mornings can still be dark, make sure you have your lights on not just for you to see in front of your bumper but for you to be seen by other motorists on the road as well, if your lights are grubby from the wet and dirty roads, give them a rub down and you’ll be thankful. * Lastly, tiredness, it goes without saying that tiredness kills, so there is another sneaky reason to keep a bar of chocolate in the car! On a serious note, if you’re tired and don’t need to make the journey don’t. If you do need to rest first, for whatever reason you need to be somewhere is it more important than you yourself? What did the first traffic light say to the opposite traffic light? Don’t look now I’m changing! The temperatures have dropped and Jack Frost is well and truly out to play at this time of year. So get your hats and gloves out and most important of all, make sure your vehicle is prepared for whatever this winter has to throw at it! To get you started, here’s just a few tips to help you through this winter, although it won’t help if the apocalypse does decide to happen! Screen wash should always be plentiful, and have protection down to -35c, usually at one part screen wash, diluted with one equal part water. Use -35c solution in order to keep your washer pump from freezing. Car Battery saving tips: Turn fan heater down, anything over 21c makes drivers tired, turn lights and wipers on after engine is started. Once rear heated window is clear turn it off, Windscreen wipers, heaters, and lights eat up power so be aware of usage, especially when stationary. The key to safe driving is gentle and slow manoeuvres- stopping distances become 10 times longer in ice and snowy conditions. Pulling away in second gear, easing your foot off the clutch gently and avoiding wheel-spin is the most controlling way to pull away. Uphill – avoiding having to stop anywhere up hill, even if waiting to be free of traffic, or leaving plenty of room to the car in front. Keep a constant initial speed, choose the gear most suitable well in advance to reduce chances of having to change gear on the hill. Downhill – before the hill, reduce speed and change into lower gear, try and avoid use of brakes whilst on the on the hill, leaving as much room between your car and the vehicle in front. 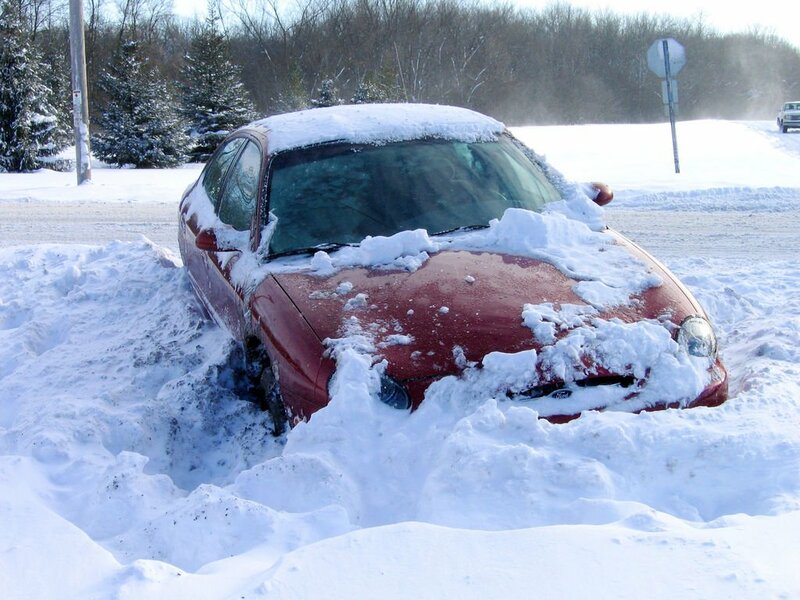 If you’re unlucky enough to become stuck, after straightening the steering wheel positioning the wheels forward, get out of the car and remove any snow from the wheels, using a rug under the wheels of the car, drive over the rug to give some extra grip. Keep moving until onto solid ground. Mobile Telecommunications Unit and charger, Sleeping Bags per passenger, Jump Leads, Wellington boots, investing in an in car kettle or making sure you have hot water in a flask and kettle foods, first aid kit, wind-up radio and battery operated radio, and to help with boredom, a packet of playing cards. Black ice is a horrid little devil which appears during freezing conditions, and stays usually in road untouched by the sun, and is transparent so is often unseen. Often also lying snow often freezes solid and can look lovely and fluffy snowball material yet is actually frozen solid and can make the road very slippery. Stopping is biggest issue in icy conditions, be aware of that and safety will follow, i.e. leave a good 20 second gap between yourself and car in front, and be aware of the car behind, stay in a suitable low gear and do not take any risks. On average a human being spends two weeks of their entire lives waiting for traffic lights to change.feels like more sometimes though! Over 90% of car owners admit to singing behind the wheel. The wheels. They are always tyred!